Appu is 7 years old. He loves climbing trees, playing with his sister & like most kids in his age, loves sweets. Appu, however, does not smile much. 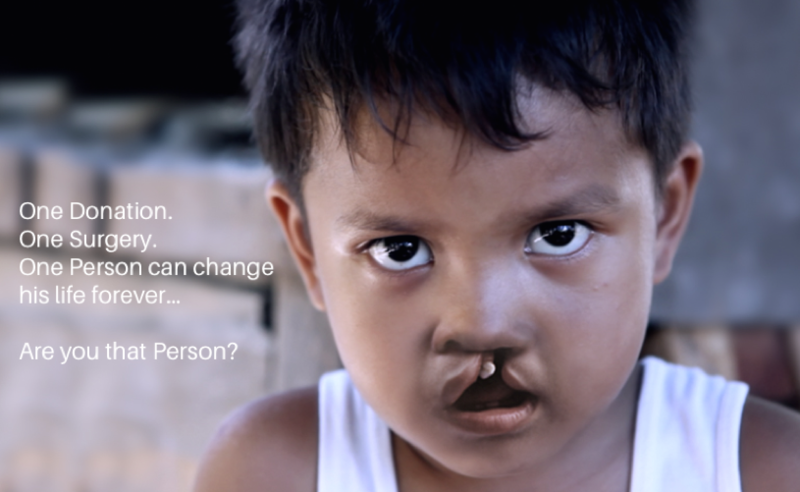 He suffers from one of the most common deformities among human beings – a cleft lip and palate. A one-hour operation will change all that! Every year there are about 35,000 children in India like Appu, born with cleft lips or palates. A cleft lip is a common and curable birth defect in children. Unfortunately, in developing countries, most clefts remain unrepaired. But isn’t cleft just a cosmetic problem? It is not. Untreated children barely have a chance in life. Even the intake of valuable mother’s milk constitutes a major challenge. Especially open palates make a child far more prone to undernourishment and 1 in 10 children die before their first birthday. Just one surgery can change a child&apos;s life forever. Cleft children are often harassed, teased and this leads to humiliation and a lack of self-worth. Vasanthi’s story (mentioned in the video), captures a snapshot of this challenge most individuals with Cleft Lip and Palate face. Hers was what she called the most difficult time of her life. "The way people looked at me was depressing," she says. "I didn&apos;t want to go out." Her dream was to become an airhostess & that came true thanks to ABMSS! AKILA BHARATHA MAHILA SEVA SAMAJA (ABMSS) is a non-profit organization that supports surgeries for cleft children from poor families. In 14 cleft centres all across India we closely work together with highly motivated surgeons, anaesthesiologists, orthodontists and speech therapists. 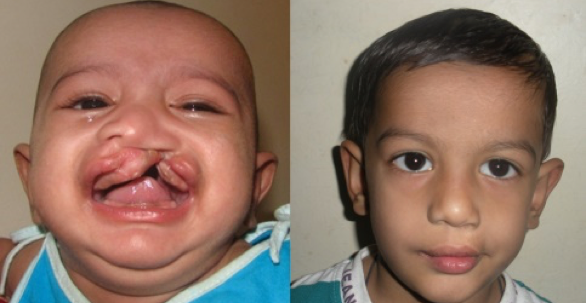 Our effort is to promote the concept of comprehensive, interdisciplinary treatment of cleft children. In addition to these services directed to the patient, the organization also supports awareness work in rural areas and education of doctors and medical personnel involved in supporting the charitable cause. With the help of our charitable donors we manage to treat about 2000 patients every year. ABMSS is the Indian affiliate of Deutsche Cleft Kinderhilfe e.V. Deutsche Cleft Kinderhilfe e.V. 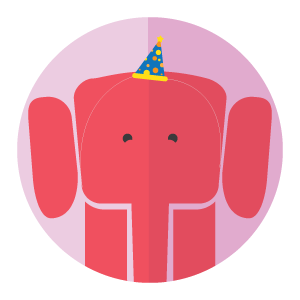 will match your contribution for this campaign! 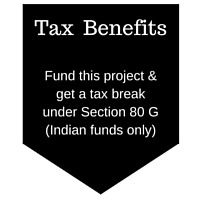 Your 1000 INR contribution for example will now be worth 2000 INR! *An additional Rs. 500 goes towards administrative costs. How is your donation going to be used? Our goal is to raise INR 30 Lakhs, as that will help us provide surgeries to over 200 children with cleft defects. We aim to treat this common birth defect that is not affordable by the families of these children. 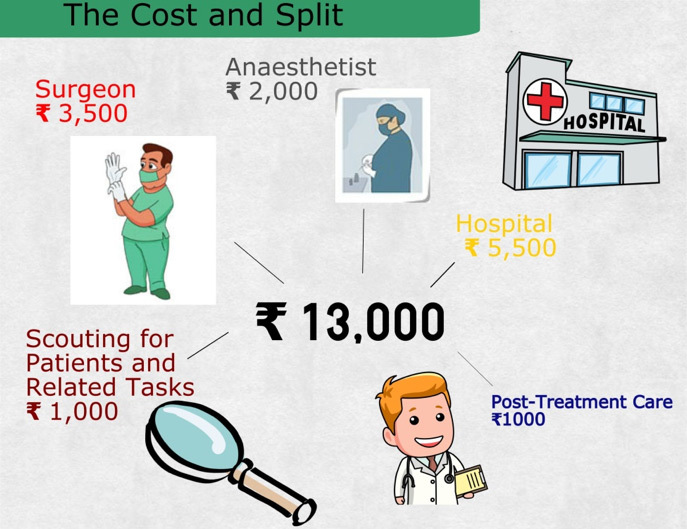 Only INR 13,500 to provide a surgery to a child with a cleft defect; that means to completely change one child’s life and give him/her a better future. You can part fund a surgery with a donation from as low as100 INR or fund the entire surgery. Your 13500 INR contribution for example will now fund the surgeries for 2 kids! Share our campaign: Fund us, spread the word to your friends & family. Tell them through social media shares so that they know about the good you are doing and also learn about our cause. Our team will post updates on this crowdfunding campaign page after every milestone that you helped fund & share it with all of those who have been gracious enough to fund us. Those who fund an entire surgery will get a beneficiary report with all the details of the patient and the surgery emailed to them. We are also very happy to receive feedback from your side. Thank you so much for your wonderful support, further details are coming up soon. The start has been done and the first percentage has been raised. Two children can be operated from that money. But we think bigger... Help us push the campaign and make 200 kids smile!! Having seen our video, read about air hostess Vasanthi in the Bangalore Mirror! 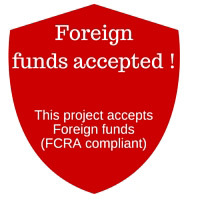 IS DELIGHTED TO SUPPORT THIS CROWDFUNDING CAMPAIGN WITH A 100% MATCHING CONTRIBUTION! Get a Thank You Call expressing gratitude from our people. You have contributed anaesthesia treatment for one of our little patients. We will acknowledge your generosity by mentioning your name and amount donated on our FB-page. You have taken care of all expenses arising from a 4 to 5 day hospital stay. You will receive a lovely photo-book that will remind you of the smile you brought to a child’s face! Hospital Stay, Anaesthesia & Post-Treatment Care.You have combined the above and additionally looked after the patient after the surgery. Spread the word and tell about the case with our newly designed Smile T-Shirt! 1 Surgery! You have funded the entire surgery for a child with a cleft deformity and changed his or her future significantly by sustainably enhancing his/her chances for a lifetime. See the difference you made in a report of the beneficiary you helped! Sponsor 5 Surgeries: You have funded the surgery for five children! What shall we say? That’s simply amazing! We very much appreciate your great contribution. Apart from the report of the children you helped you will receive a high-quality Pennline Set sponsored. Having funded 10 surgeries you definitely deserve something special. We invite you for a visit to one of our project centres. The trip includes a Project Site Visit, Meeting of a Patient, Hotel Stay (on twin sharing) and some additional time for sightseeing in the city. Note: Travel will have to be borne by the donor.